This is a wonderfully moist, tasty and nutritious start for your day full of fruit, nuts & spices. It’s also a great mid-afternoon snack for when your energy levels are dipping. First thing to say is that the original idea was not mine. This recipe is a sourdough adaptation of Ed & Marieke’s yeasted muesli bread which you can find on their beautiful blog. Their recipe is lovely and will be useful to you if you are in more of a hurry to produce the breads. Obviously, there’s differences in the taste. Fancy finding out how to make it? The best thing about this is how easy it is. I’ll admit to being a bit cautious about doing this. Visions of strange moulds and smelly, inedible meat went through my mind. 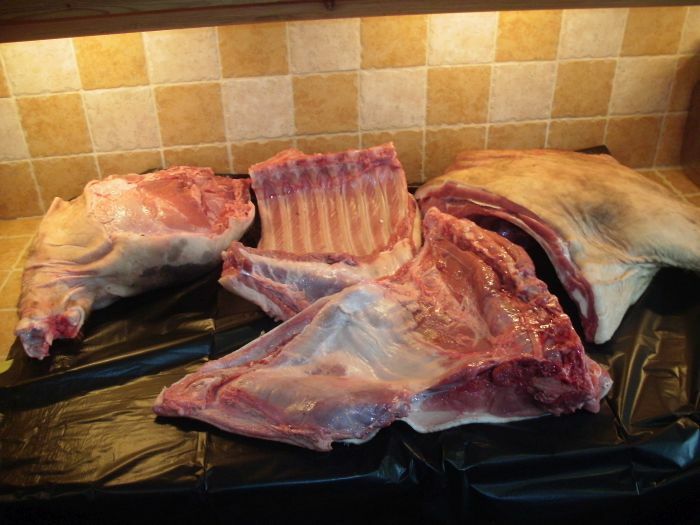 Well I found out that, as long as you’re careful about your food hygiene, it’s not a complicated process at all. I’m lucky to have a number of truly inspirational people in my ‘internet family’. This bread happened due to the inspiration of two people: the talented & generous Joanna at Zeb Bakes & baking guru & good guy, Dan Lepard. 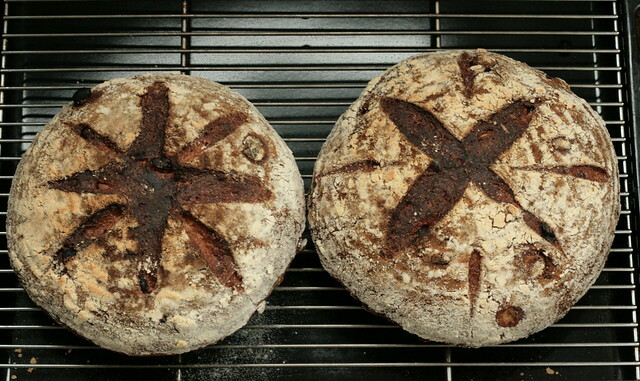 Joanna posted some beautiful pictures of a flax (linseed) & rye loaf. 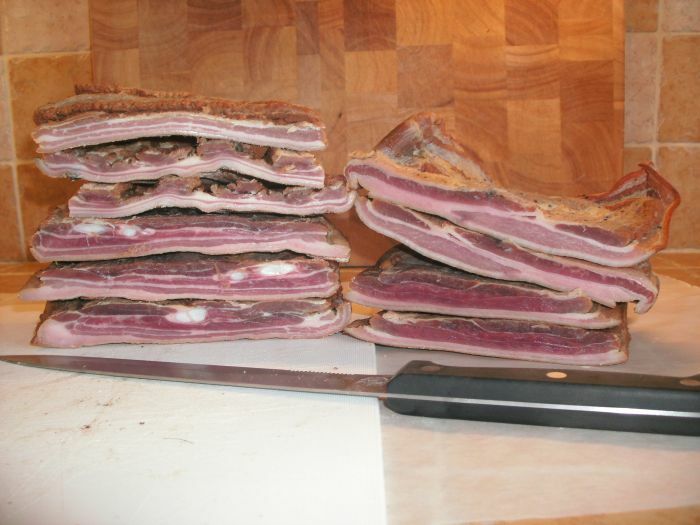 As you’ll see I contributed with information about the mucilage the linseed produces when hydrated. So I was thinking about making a bread with linseeds and the rye seemed interesting too. 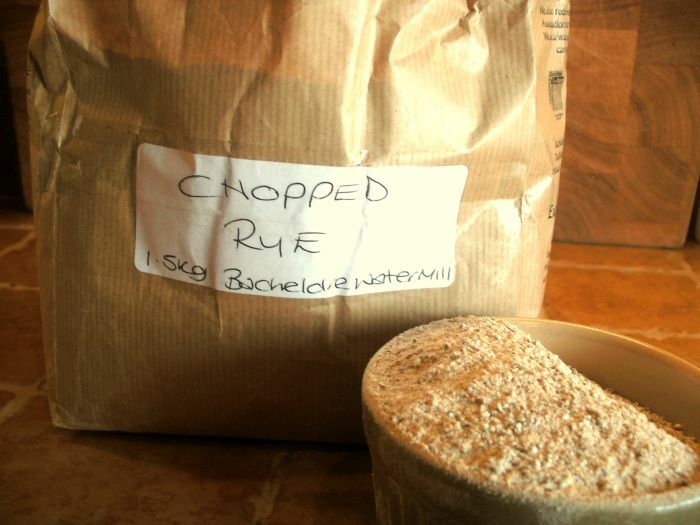 Matt the Miller at Bacheldre Mill had been kind enough to specially mill me a batch of chopped rye. Not as fine as flour and not the whole berry either. I’d been looking for a chance to use them and this seemed like an ideal opportunity. This is where Dan Lepard’s inspiration came in. 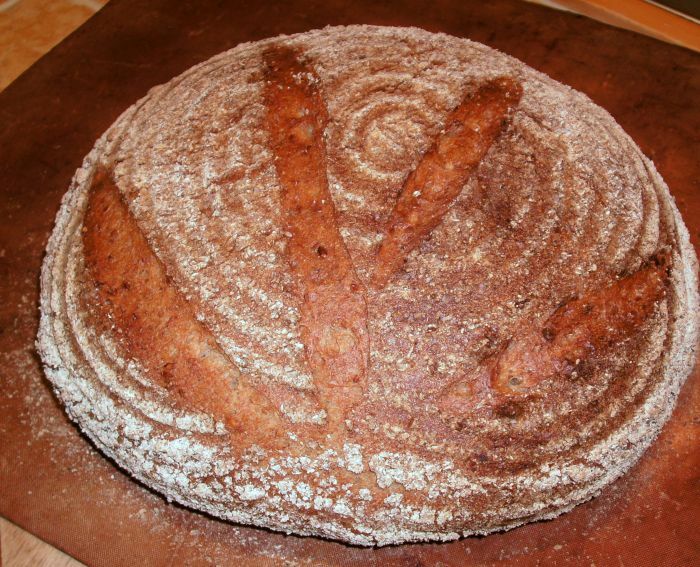 In his beautiful book, The Handmade Loaf, he has a recipe for a Sour 100% rye bread. In this, he uses a gelatinized rye mix to give the loaf elasticity. Finally, I’ve been making a lot of bread lately with seed or grain ‘soakers’. Here you take your chosen seeds or grains and pre-soak them prior to adding to the dough mix. The presoaking means that they are fully hydrated and so do not take water from the flour grains.